In his twenty-five years as a homoeopathic lecturer, Vinton McCabe has taught thousands of medical professionals and laypersons alike both the philosophy and practice of homoeopathic medicine. Through his books on the subject, he has reached many more, giving his readers both the tenets of homoeopathy as put forth originally by Samuel Hahnermann more than two hundred years ago and his own unique viewpoint on the subject of homoeopathic healing. 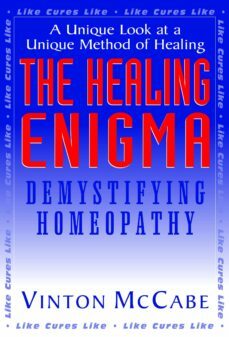 With The Healing Enigma, McCabe makes use of his full experience of homoeopathy to give a fully rounded assessment of the principles of homoeopathy and the manner in which it is practised today.